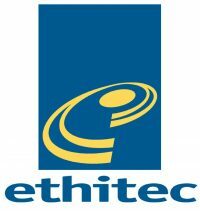 Ethitec’s ELMS2 system is a comprehensive, integrated, modular software solution that fully supports the efficient running of Community Equipment Services (CES), Telecare Services, Wheelchair Services, and other areas of Health and Social care supplies provision. Currently incorporating over 25 years of development (the very first version was written as a bespoke application for the British Red Cross in 1990), ELMS2 has now been purchased to run over 50 distinct equipment related services. A modular and flexible structure makes the system easily configurable to suit the local requirements of all sizes of store, while an active User Group ensures that the system remains relevant and compliant with current legislation. ELMS2 supports our customers in managing referrals to the service, together with waiting lists, appointments, clinician dairies, and assessments. On the equipment side, ELMS2 will offer support for the controlled ordering, purchasing, stock management, asset management, distribution, sale, rental, and collection of equipment that is loaned out into the community, all across multiple stores. ELMS2 also offers third-party system links, barcoding, route optimisation, GPS tracking, and remote working. A computer system is only as useful as the information it can deliver, and management information is one of the main strengths of ELMS2.